Excellent composition and shallow dof. Really nice!! Beautiful capture, composition and overall image! so well noticed & shot! Nice macro shot, great detail and texture! Nicely photographed. 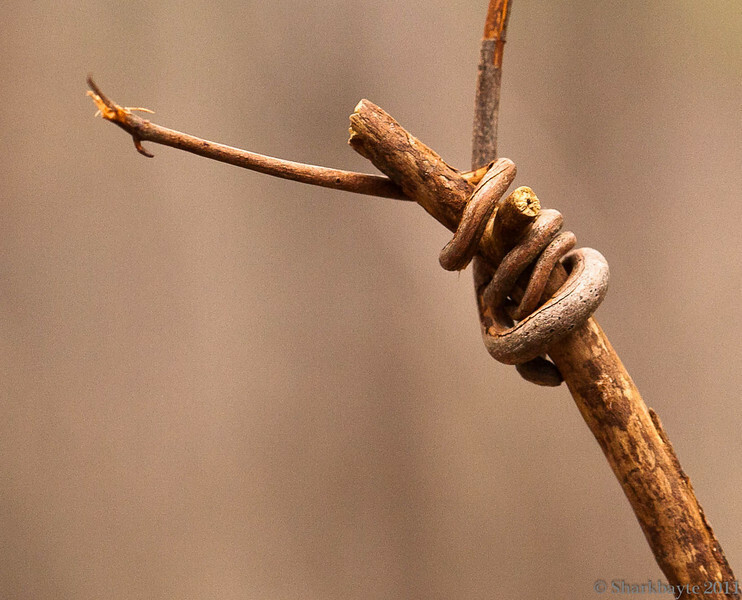 I think this is just a vine that was looking for a hand hold. I've seen some in southern Asia, called Strangler Vines, that completely twist a tree to where you can't tell which is which. Terrific light and bokeh, great capture!